This has been the year where we as a family have become more outdoorsy. My husband has always enjoyed spending time in nature and I’ve more suddenly developed an interest in having more family adventures in nature, exploring with the kids now that they’re a bit older. One of our favourite things to do is to drive out to the countryside and go for hikes in the woods — it’s a simple activity but it’s fun and lovely and all you need is yourself and a good pair of walking shoes. Maybe a little picnic too if you’re staying out for quite some time! 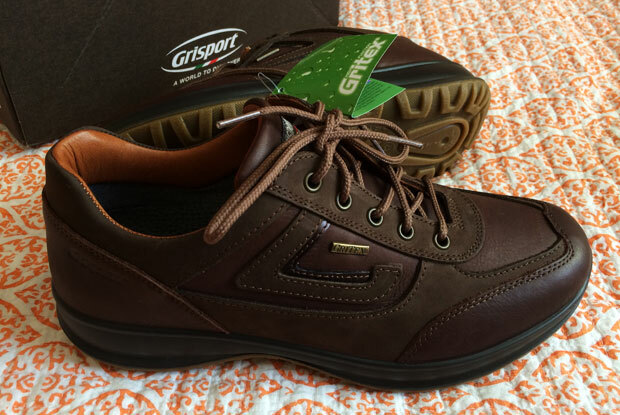 My husband has a new pair of hiking shoes from Grisport — the Grisport Airwalker Walking Shoes (£85.00) He really needed some proper walking shoes as he would usually just wear a pair of sneakers that didn’t offer any support or grip. 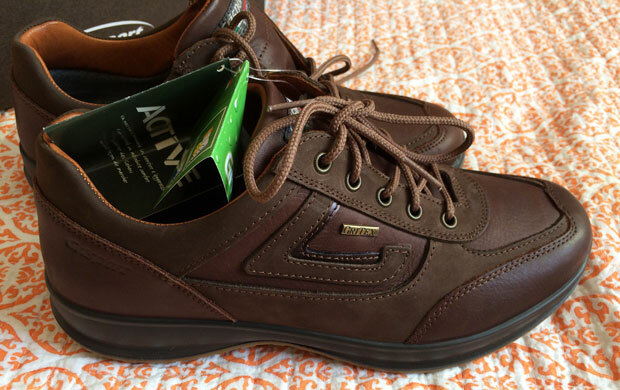 The Grisport Airwalker Walking Shoes are part of the Grisport Active Range. 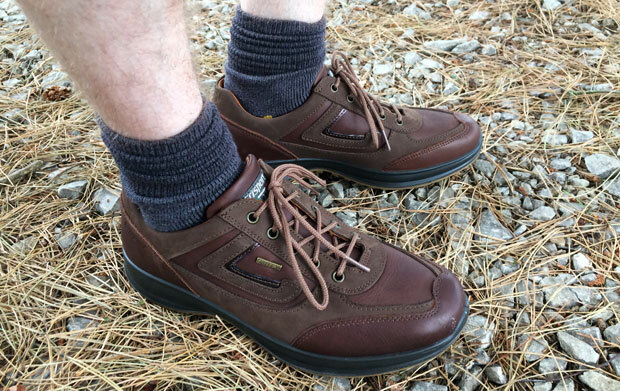 What made us choose them is that they look great for walking but don’t have that typical hiking/walking shoe look which makes them more versatile. They look slightly sporty but also smart and look just as suitable for a hike in the woods wearing shorts as they would with a smart pair of jeans and a polo shirt if you want to pop into a pub or go to a restaurant. They’re definitely a very stylish pair of walking boots! These shoes are really sturdy yet sleek and the quality seems amazing! 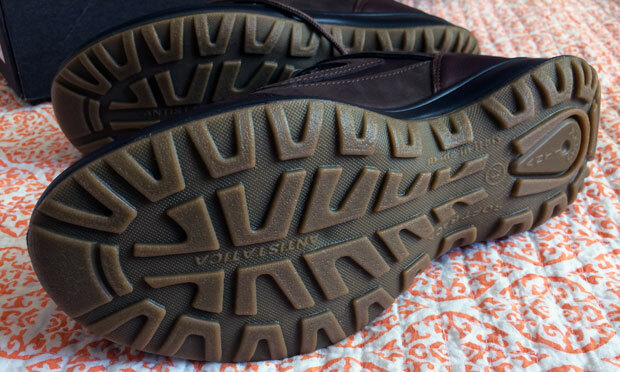 The upper is made from leather and the inner has a Gritex water resistant lining. The inner is well-cushioned around the sides for comfort and have an active air cushioned leather insole too. This allows great ventilation to minimize odour and moisture and also has anti shock systems that absorb shock on impact. The outer sole is anti-static and offers great grip on all surfaces. The shoes are lightweight and ergonomic. 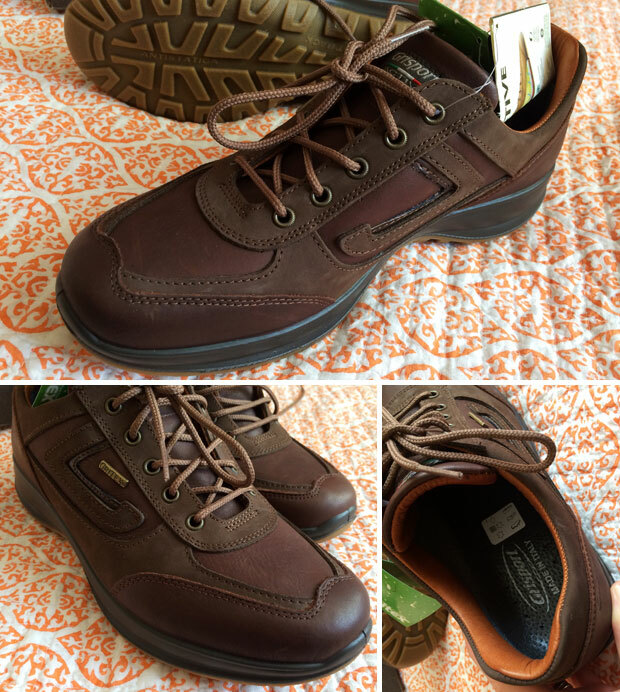 My husband says that they’re more comfortable than any other shoes he has which is great! 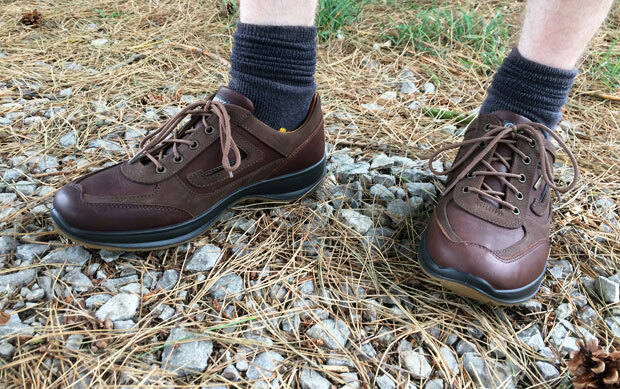 He’s really pleased with his new walking shoes from Grisport — he likes them so much that he says he’s going to use them as his regular autumn/winter shoes too. Check out these walking boots and many more on the Grisport website. We were sent these shoes for this review. As always, all my reviews are 100% honest and all thoughts and opinions are my own. How Can We Prevent Teen Accidents Caused By Drunk Driving?